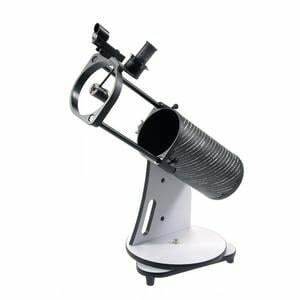 A large aperture for a little money - that was always the main idea when acquiring a Dobsonian telescope. 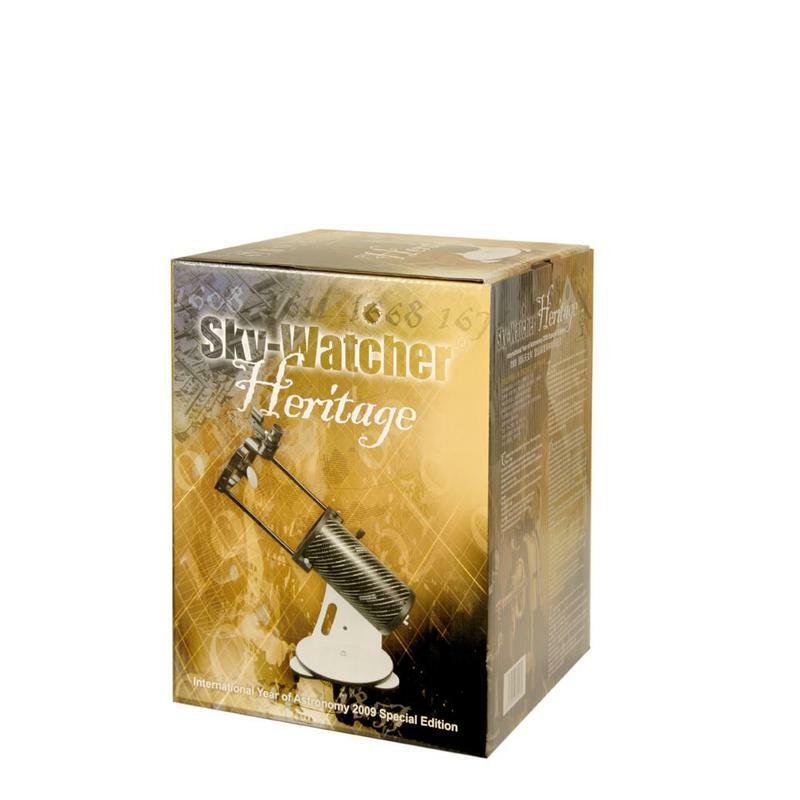 With their BlackDiamond Dobsonian, Sky-Watcher have created a classic with a new slant. The new, patented, a novel patented sliding rod design makes it is particularly easy to transport. Another advantage of this is that it allows the focus point to be flexibly shifted by sliding the rods further in or out. This telescope was specially designed to celebrate the International Year of Astronomy (IYA 2009) and hence also the 400th anniversary of the first Galilean telescope. 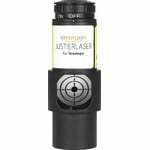 It is not only a high-precision optical instrument, but also makes a nice collector's item and the perfect gift. The telescope tube is decorated with the names of many famous people who have made a significant contribution to research in astronomy over the last 400 years, including Galileo Galilei himself. The telescope is an all-rounder, offering superb views of the Moon, planets and the easier deep sky objects. 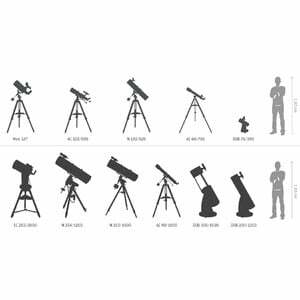 The patented truss tube system means the telescope is very easy to transport and store. 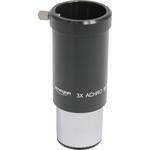 Unlike many standard Newtonians, there is no problem with the focus position in this Sky-Watcher truss tube Dobsonian. The position of focal point can be flexibly adapted. 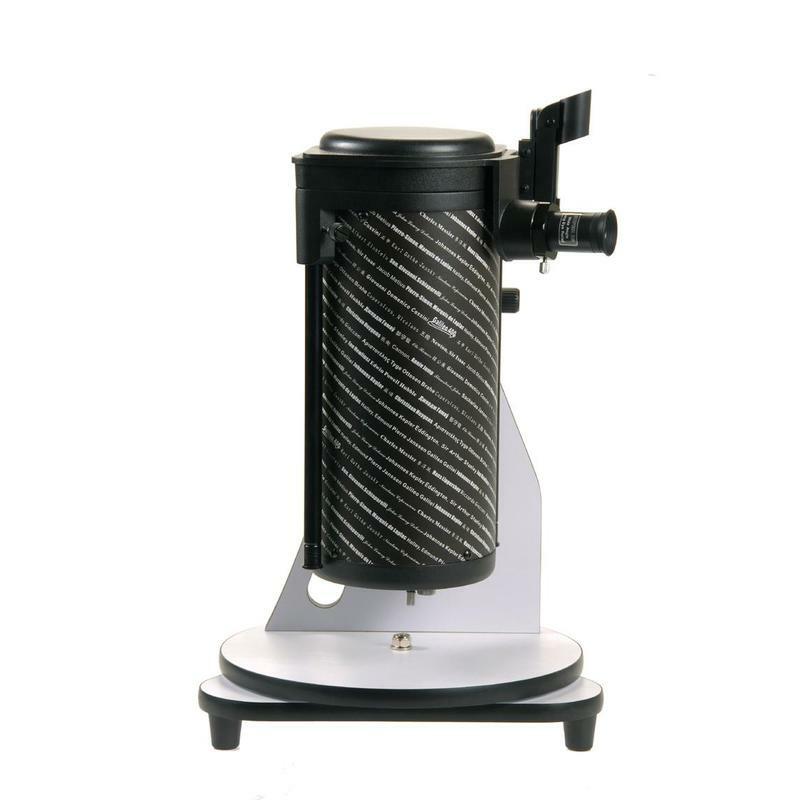 The easy handling of the Dobsonian mount offers a great way of getting started in amateur astronomy and the telescope is also ultra compact. 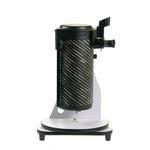 The complete telescope with mount comes completely assembled straight out of the gift box. 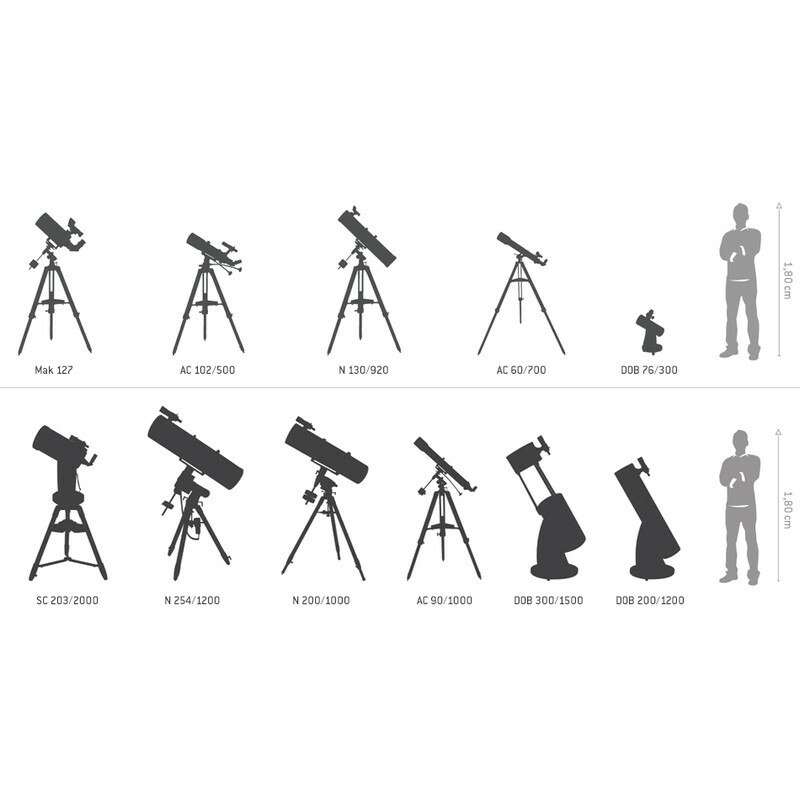 The most Dobsonian telescopes are only available from the 200mm upwards. 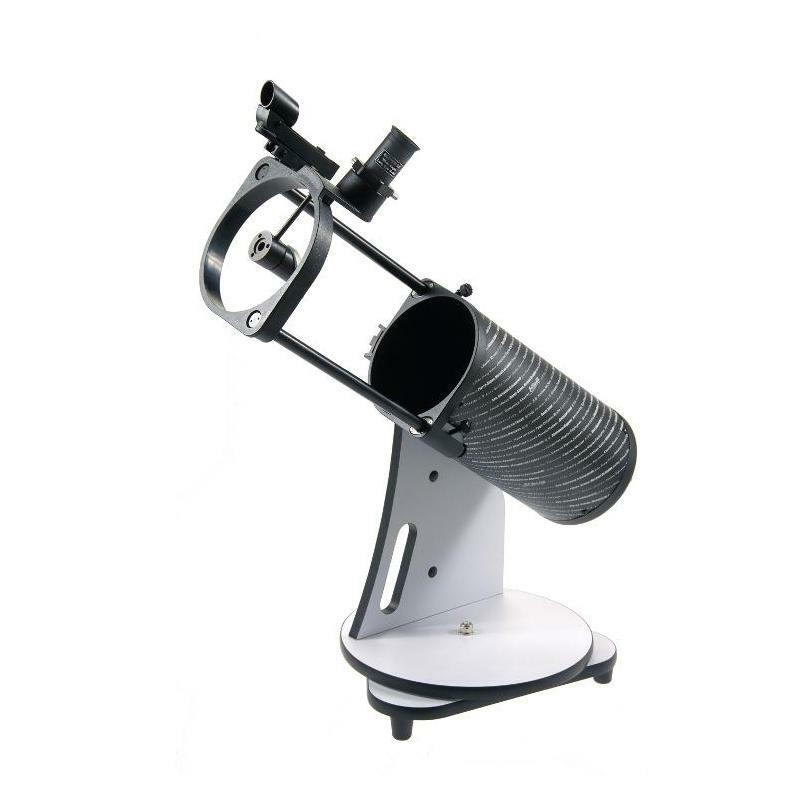 This 130mm Dobsonian can be considered an exception, making it an ideal travel and beginner's instrument, which requires only a little space. 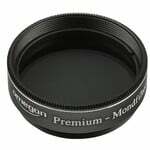 With only a 650mm focal length, the Dobsonian has an aperture ratio of f5; meaning wonderful wide field observing is possible. Being able to observe extended nebulae under a dark sky is just one of the great strengths of this instrument. 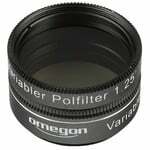 Focusing is via a screw-in focuser with clamp for 1.25" eyepieces. The telescope is to highly portable and space-saving in its retracted state. The telescope comes fully pre-assembled in an attractive gift box. I am approaching astronomy and my father gift me with this dobsonian telling me not to expect too much, but I am impressed. The first night of use, there was the moon over the first quarter and there was plenty of light in the sky. At an altitude of 950 metres, I was able to see Saturn with the 20mm and the 10mm eyepieces, separating the globe from the rings thanks to shadows. The image was not stable, probably due to turbulence, and Saturn was very small, but wonderful. The dobsonian mount is very smooth and facilitates the work. After having found the objects (that was a little hard), it was very simple to follow them. 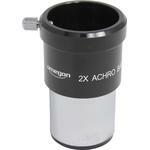 Now I got an UWA eyepiece (4 mm) because I want to see more on planets, and will let you know.